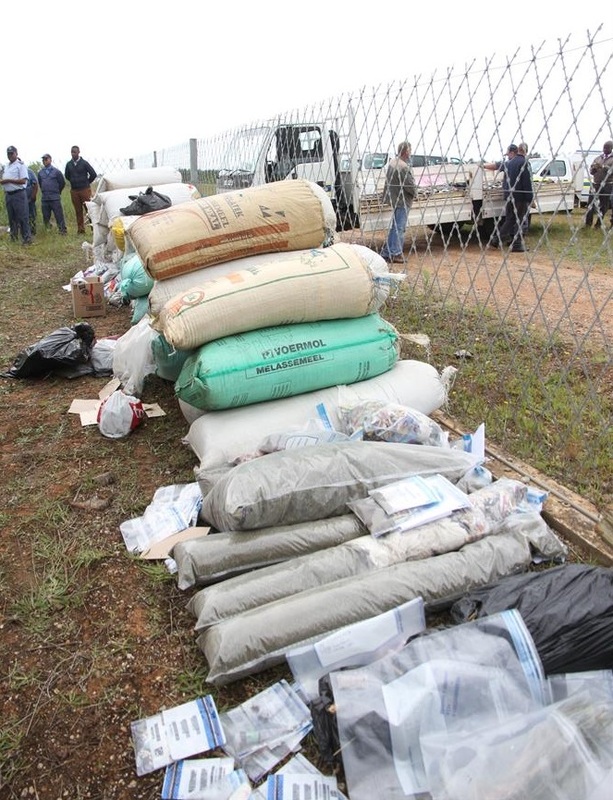 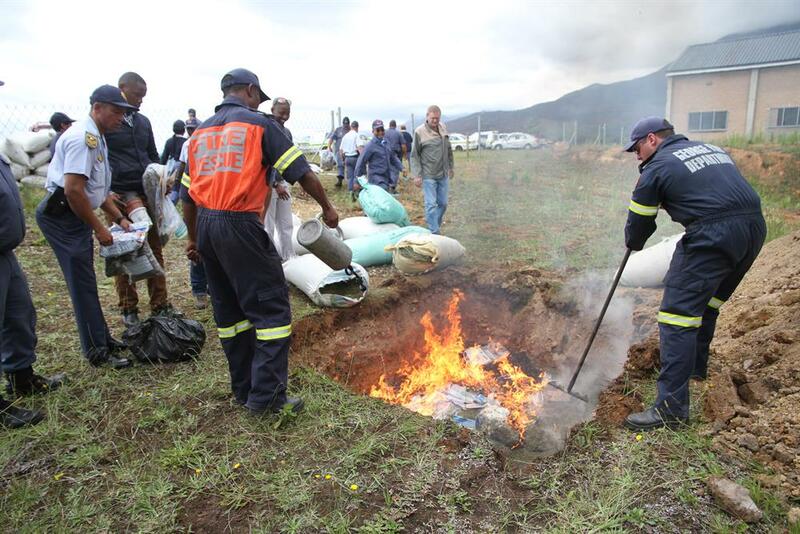 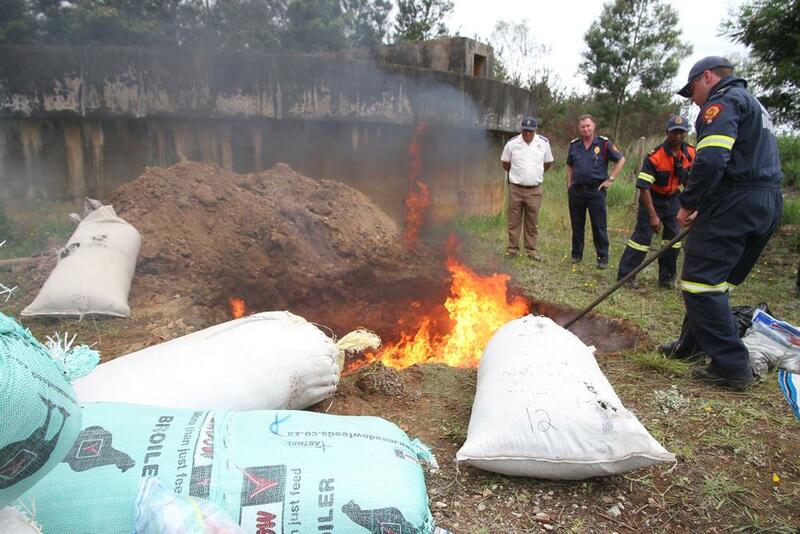 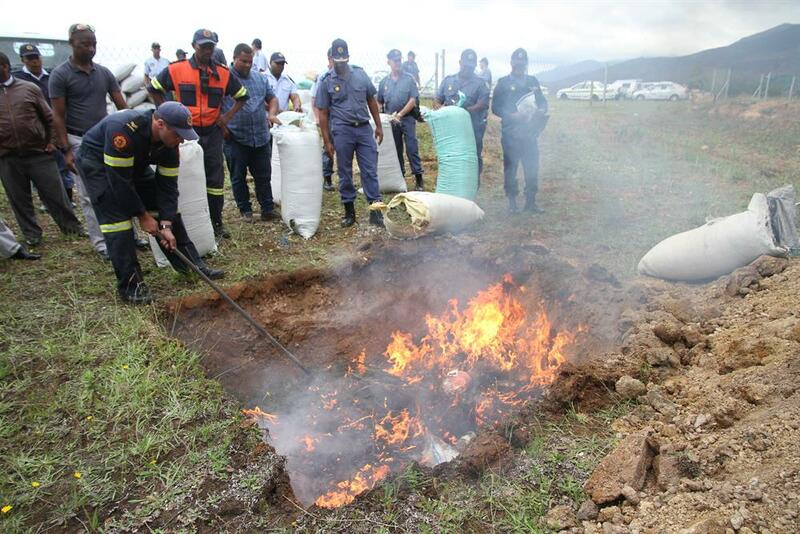 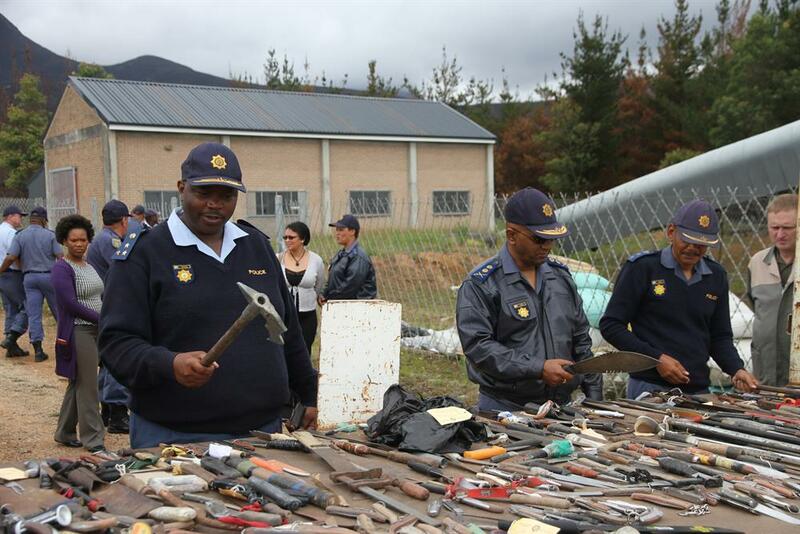 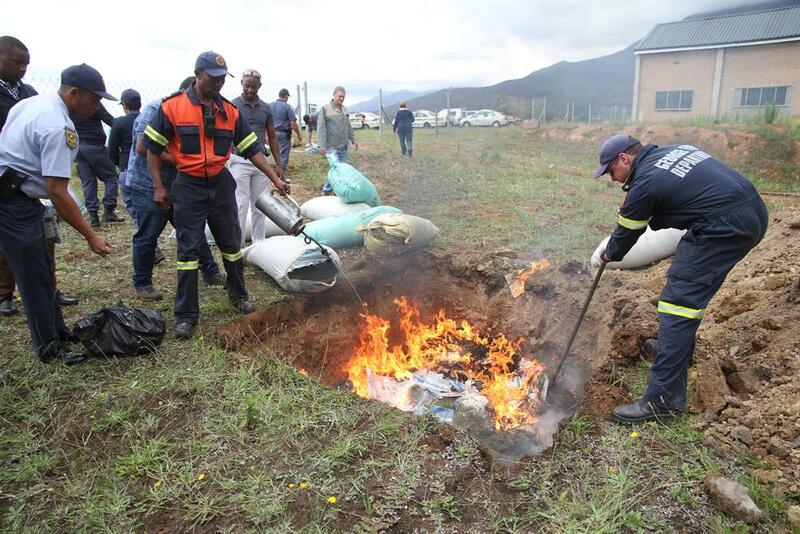 1,5 tons of confiscated cannabis, with an estimated street value of R4-million, as well as various illegal and handmade weapons, were destroyed by the Southern Cape police. 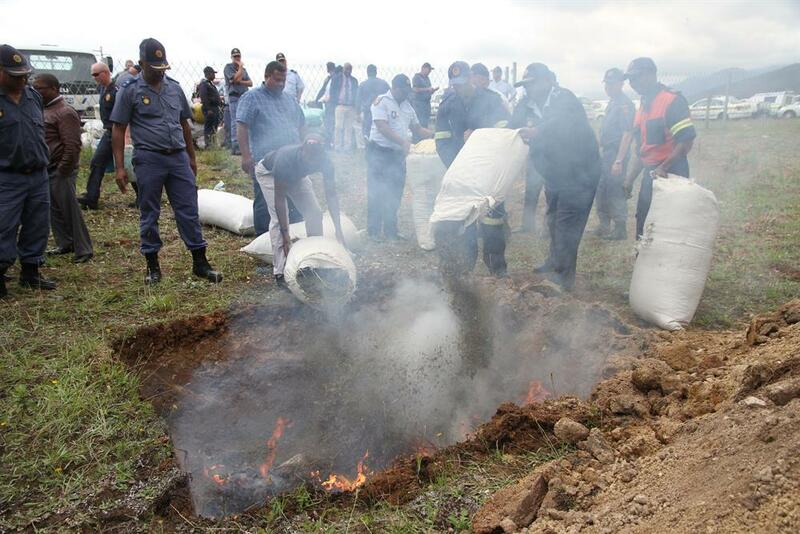 Part of the cannabis that was destroyed on Tuesday morning. 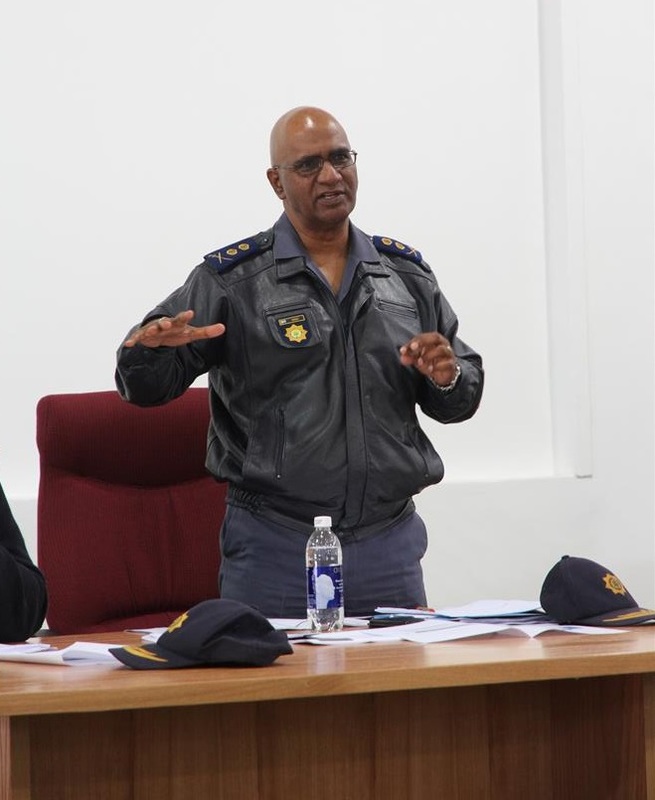 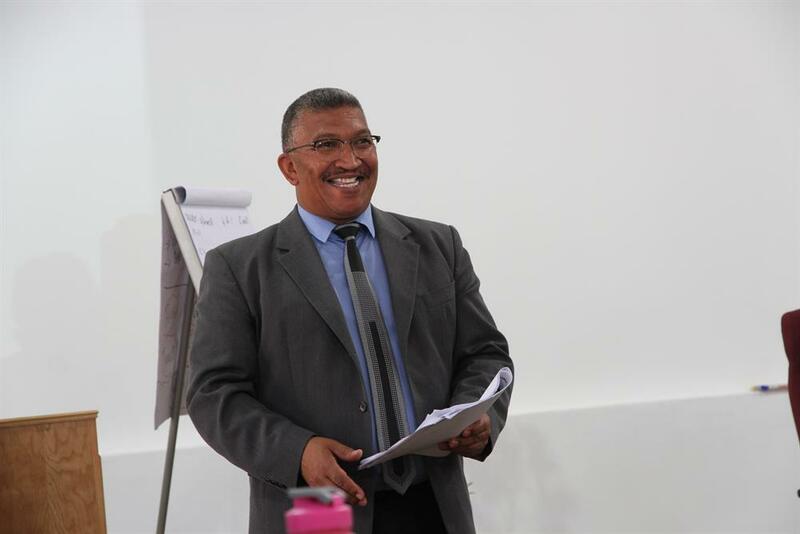 Major-General Oswald Reddy during the media conference. 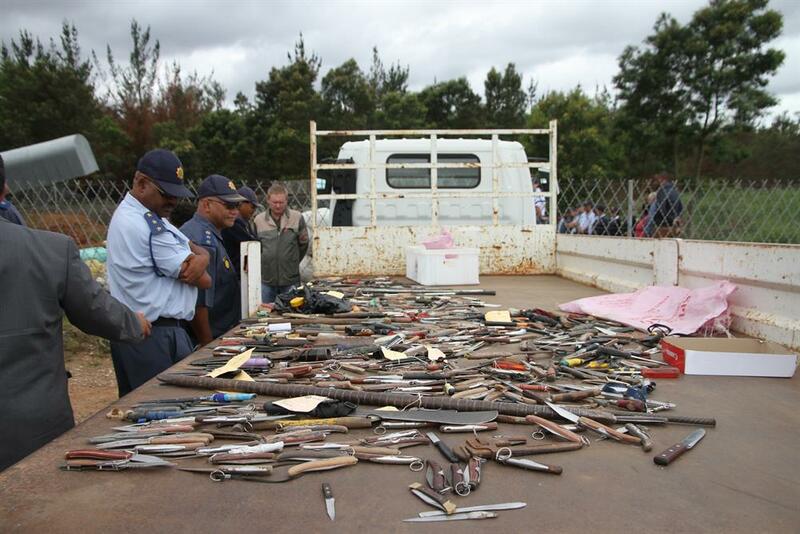 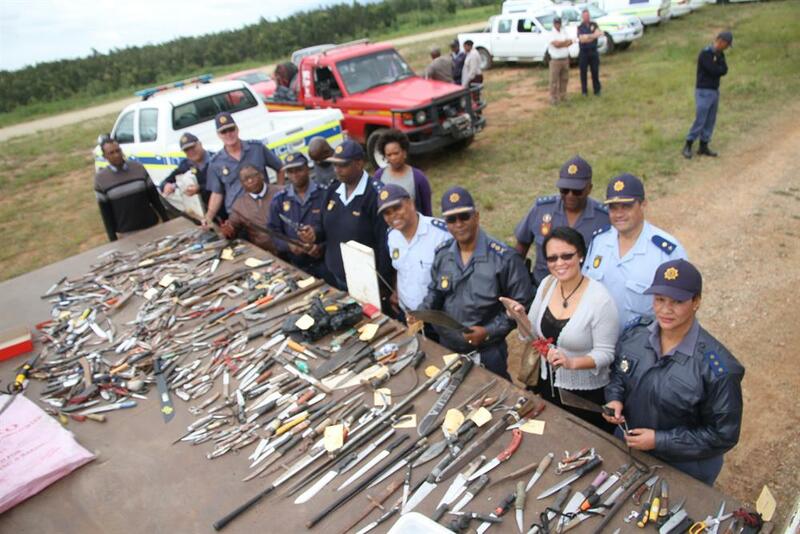 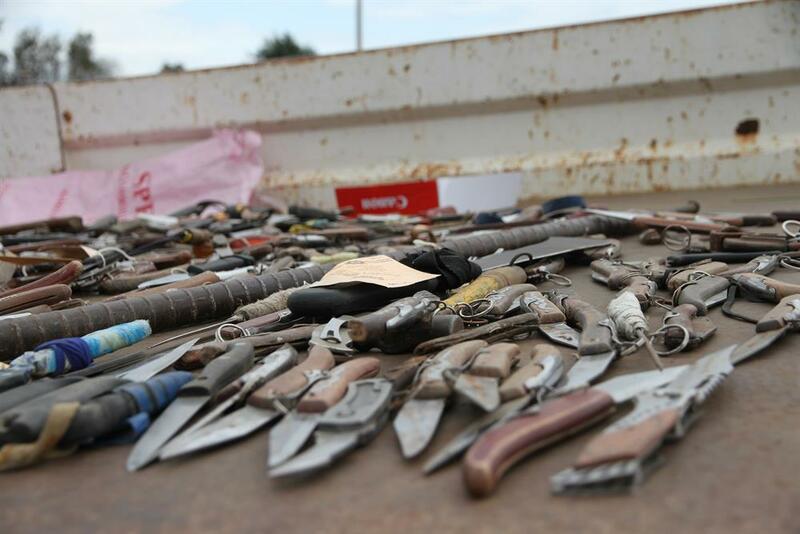 Pocket and flick knives were amongst the confiscated weapons.